Anyone who thinks Obama's an Islamist must be painfully retarded. Dismissing a strategy of "containment," the president tells me it's "unacceptable" for the Islamic Republic to have a nuclear weapon. At the White House on Monday, President Obama will seek to persuade the Israeli prime minister, Benjamin Netanyahu, to postpone whatever plans he may have to bomb Iran's nuclear facilities in the coming months. Obama will argue that under his leadership, the United States "has Israel's back," and that he will order the U.S. military to destroy Iran's nuclear program if economic sanctions fail to compel Tehran to shelve its nuclear ambitions. Prime Minister Benjamin Netanyahu on Wednesday thanked the United States for the “unprecedented” and “historic” defense aid package, hours before Israeli and US officials were to sign the $38 billion deal in Washington. Nobody thinks he's an islamist....he's queer and they behead queers....little Barry is an islamist sympathizer ie he ran from a won war in Iraq, sent Libyan weapons to Syrian terrorists, tried to rig Netanyahu's last election and gave Iran the money and approval to build nukes. We all know what he is and what he ain't. "Anyone who thinks Obama's an Islamist must be painfully retarded." What benefit did America, or the world, accrue by guaranteeing nuclear weapons to the world's worst state sponsor of terrorism? I don't love Obama, but to call him a Queer, or Islamic Sympathizer is a vivid accusation, with nothing to back it up. Source for Obama giving Libyan weapons to Syrian Terrorists? 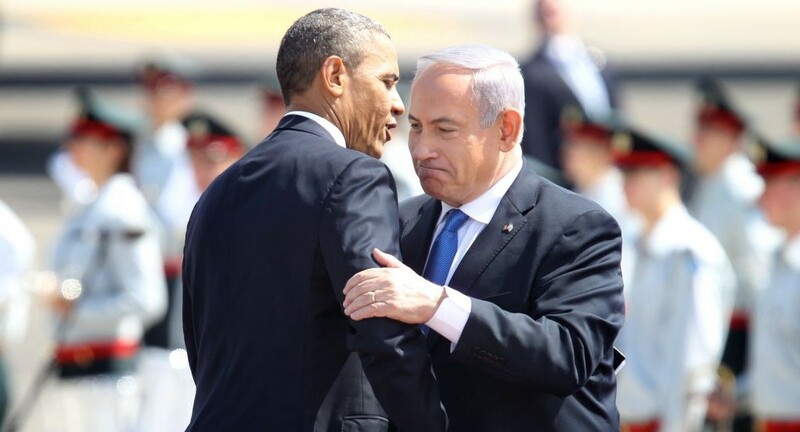 Source for Obama trying to rig Netanyahu's last election? How did Obama give Iran approval to build Nukes? LOL, I really think Protestantism leads to inferior Intellect, it's apparent in the Neocons in the U.S.A, also in Black Protestants, it's also apparent in Liberal Protestants in Europe, and even in Asian Protestants like PoliticalChic. 99% of Protestants are clearly Racial trash. Terrorism is far from the worst killer. Probably more were killed in the War on Terror, than Terrorism has killed in a 100 years. And yet dumb, dumb Protestants calling for "Small Government" & "Anti-Tyranny" are calling for War & restrictions of their own freedoms over Terrorism, as is seen in Homeland Security & the Patriot Act. I notice you're no longer claiming "Trump didn't 'attack' Iran, huh? If that's the case, then Obama also attacked Iran. Now I've forced you to lie. 1. Keep them in the dark. 2. Feed them full of s**t.
Based on both the lack of knowledge, and the missing context, government school grads (Obama voters) can be convinced to support every absurdity of the Democrat Party, and, even when they doctrines reverse 180°, as they did both in the current support for gay marriage, and for allowing Iran nuclear weapons, the indoctrinated seem not to be aware of the change. They were against both before they were for same. We actually saw this predicted in Orwell’s 1984. 14. Based on the malleability of the uneducated, Obama’s support for the Muslim Brotherhood was accepted. The Nazis were largely responsible for the creation of Egypt’s Muslim Brotherhood, the first modern mass movement of political Islam (1928): they hoped to use the Brotherhood against the British in the Middle East. Seriously? Have somebody read you Kerry's agreement with them sometime and what Trump did to it and their economy.